When deciding a TV show has performed well enough to deserve more episodes being broadcast in the current television season, a network will usually make a formal announcement as such relating to the lucky show (or at a push, 2 shows) that are getting the treatment. ABC, though, have this weekend chosen a single announcement to confirm the renewal of no less than 8 pieces of their programming. The season extensions will have a positive effect on the episode counts of medical drama Grey’s Anatomy and sitcoms Modern Family and The Middle with two new installments each, whilst new sitcom Black-ish and newly-moved show The Goldbergs have also been cleared for two more, all of which are taking their seasons up to 24. In addition, crime drama Castle has received one more episode to go up to a 23-episode 6th season, whilst fantasy drama Resurrection takes likewise to go to a 14-part 2nd run. 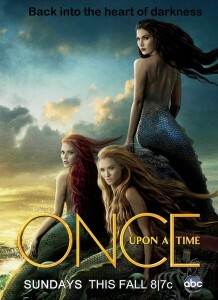 It was also confirmed by Adam Horowitz, the co-creator of Once Upon a Time, that his fairy tale-based drama is to show an extra hour of content this year too, with the broadcast scheduled for 16 November becoming a double-bill, with the chain effect from the network’s request giving the show an extra 23rd episode to its 4th season. Having been highly successful in the global box office since its American release on 27 November 2013 as well as critically (winning 2 Academy Awards, amongst other honours), Disney CGI family film Frozen has been announced as the subject of an upcoming documentary special. If something like this was going to air away from a Disney-branded channel, it would naturally be aired on a network that Disney hold shares in, with ABC announcing that they are set to air the ‘behind-the-scenes special’. 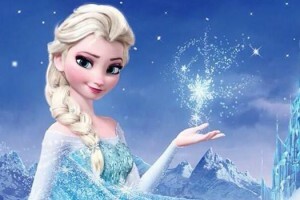 While the timeframe of less than a year is probably far too soon to use part of the title being applied to the project, the documentary that will be known as The Story of Frozen: Making a Disney Animated Classic is set to offer a unique perspective of the movie that has made over $1.2b box office (the 5th-highest of any fim in history) since release. Going behind the scenes at Walt Disney Animation Studios with an in-depth look at how the film was made, as well as footage of producer research trips taken to Norway and Canada and interviews with cast members including Kristen Bell (“Princess Anna”) and Idina Menzel (“Princess Elsa”). The premiere date for the show is set for Tuesday 2 September, at 8pm ET. In addition to the special, meanwhile the main characters of the kingdom of Arendelle will also be introduced into ABC’s live-action fairy tale drama series Once Upon a Time during the special, where the characters of snow queen Elsa (Georgina Haig) Anna (Elizabeth Lail), and Prince Hans (Tyler Jacob Moore) will go through a portal to the town of Storybrooke, forgetting the memories of their past lives. Beginning with this past season of ABC’s most popular shows, viewers will now be able to stream their favorite episodes at ABC.com/CatchUp or by downloading the free ABC player app available for iOS devices. Popular shows such as “Grey’s Anatomy,” “Castle,” “Nashville” and “Scandal” are all part of the new lineup now available for streaming. The shows, which also include “The Neighbors,” “Once Upon A Time,” and “Revenge” will have altering online streaming availability this Holiday season. Shows “Castle,” “Greys Anatomy,” “Nashville,” “Happy Endings,” and “Neighbors” will all be available from December 15th through January 5, 2013 on the streaming platforms, while “Once Upon A Time,” “Revenge,” and “Scandal will be available starting on December 18th through the 31st. The app is available for free from the App Store on iOS devices, including the iPhone, iPad and iPod. Those without access to an iOS device can simply stream the shows over the internet through the user-friendly ABC.com/CatchUp website. The ABC Player app was reported to be the sixth most downloaded app of all time, and is in the top 20 for 2012. The app provides users with the ability to watch their favorite programming on the go. As part of the streaming deal struck with Disney/ABC Television Group in 2010, Netflix have made available full first seasons of ABC TV shows, “Revenge” “Once Upon a Time” and “Scandal”. Netflix subscribers can watch entire previous seasons of the hit shows just as the new season episodes get ready to premiere on the ABC TV network. The shows join other ABC hit series on the online TV service such as “Lost“, “Grey’s Anatomy”, “Private Practice” “Desperate Housewives”. Each show will be available as the first full season, Scandal stars Kerry Washington as Olivia, a former White House worker for the president who leaves to start her own crisis management company, Olivia Pope and Associates as a professional fixer. But she struggles to leave behind parts of her old life. Revenge stars Emily VanCamp and Madeleine Stowe and tells of a young woman new and welcomed to the local community, but her new friends do not realise she is out for revenge on those people who destroyed her family. Once Upon a Time is a fantasy show starring Ginnifer Goodwin as Snow White and tells of a fairytale town where everyone lives under a curse, not knowing their true identities.